1. HOW FAR IS YOUR OUTDOOR WEDDING SPACE FROM YOUR INDOOR WEDDING SPACE? Let’s face it, there’s no such thing as a sure thing when it comes to Houston’s notoriously fickle weather. That means you probably should not set out planning your perfect, picturesque outdoor wedding celebration at a venue that has only outdoor space. 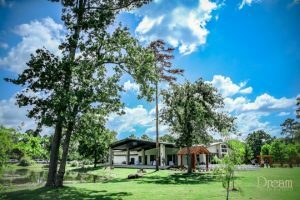 Fortunately, almost all Houston event venues and Texas Hill Country wedding venues that offer outdoor event areas have ample indoor space as well. 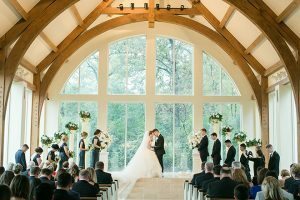 When visiting prospective venues, check out the outdoor area—whether it’s the gazebo where you’ll say your “I do’s,” or the deck where you and your guests will sip post-ceremony cocktails—and note its proximity and accessibility to the indoor area. 2. 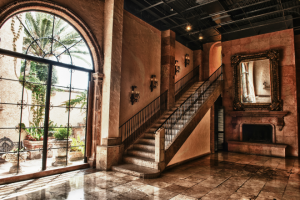 IS THERE A COVERED WALKWAY FOR GUESTS TO MAKE THEIR WAY INSIDE, SHOULD IT START TO RAIN WHILE THEY ARE OUTDOORS? Also: Does the venue have French doors or another type of amply sized entrance to allow for a crowd to move through? 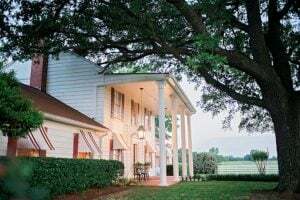 Is the reception ballroom located a quarter mile away from the lawn where you’ll gather to say your vows, and if so, are there golf carts or other vehicles available to transport guests to shelter? Also make sure that the indoor space will be fully ready—rentals set up, decor in place—to welcome your wedding group, should you need to put your “Plan B” into action at the last minute. 3. HAVE YOU TALKED TO THE VENUE’S ON-SITE COORDINATOR ABOUT WHAT THEY HAVE PLANNED FOR INDOOR CONTINGENCY? When you do, ask them how they plan to get guests there comfortably, and get that plan in writing, so there are no surprises on your wedding day (rainbows aside). And let your guests know that some or all of your wedding events will take place outdoors, so they can dress appropriately, with the most accommodating footwear. 4. HOW DO YOU PLAN TO PROTECT WEDDING GUESTS, AND YOURSELVES, AGAINST THE ELEMENTS, AT YOUR OUTDOOR CEREMONY? 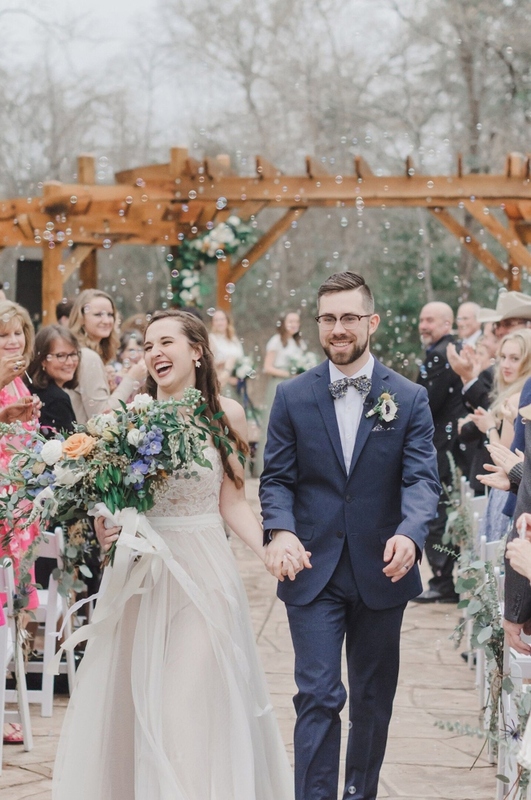 Even on a relatively nice Houston day, your outdoor wedding ceremony and/or reception likely will contend with a few climate-related challenges. Our top advice: Have bug spray on hand. Mosquitoes can be nuisance any time of year in Houston, but especially during the warmer months (which are, like…most of them). Provide bug spray for guests in discreet baskets or containers adjacent to your ceremony seating, and around your outdoor celebration space, but away from food and drink areas. You also can ask your venue to have the wedding area sprayed with safe, non-toxic insect repellent prior to your event. 5. 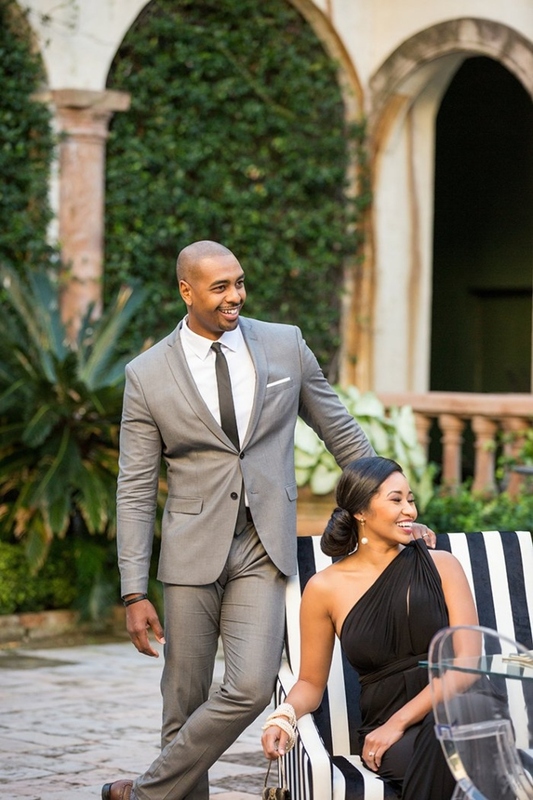 HAVE YOU TOLD YOUR HAIR STYLIST AND MAKEUP ARTIST THAT ALL OR PART OF YOUR WEDDING WILL TAKE PLACE OUTDOORS? If you haven’t, you sure should! Houston’s humidity can wreak havoc on even the glossiest locks. To avoid stray stragglers, wilting up-do’s, and the dreaded “frizz halo,” make sure your stylist comes equipped with her best anti-shine and anti-frizz products, and keep extra supplies around for touchups as the festivities, and photo-ops, carry on. 6. 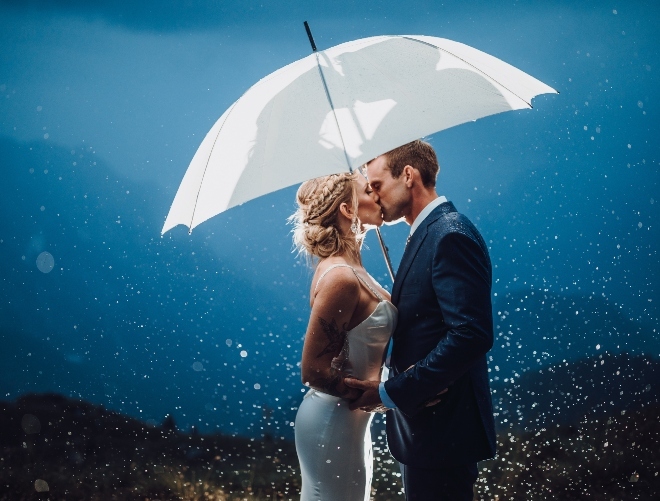 IS RAIN IN THE FORECAST FOR YOUR BIG DAY? 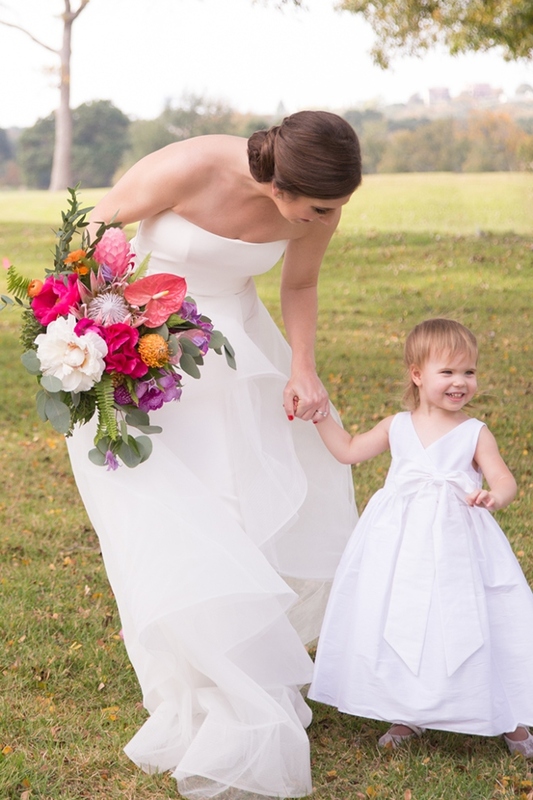 Often, the rain at outdoor Houston weddings may be little more than a passing shower. In this case, or in the case of strong sunshine and a lack of shade, umbrellas and parasols can make all the difference, and allow the ceremony show to go on, just the way you’ve always imagined it. Plus, you can pick umbrellas or parasols in your wedding color palette, or customize them as take-home favors. And that’s super cute. Just make sure your setup space has plenty of room to comfortably accommodate guests and their overhead accessories. 7. ARE YOU TAKING FULL ADVANTAGE OF YOUR OUTDOOR CELEBRATION OPPORTUNITIES? 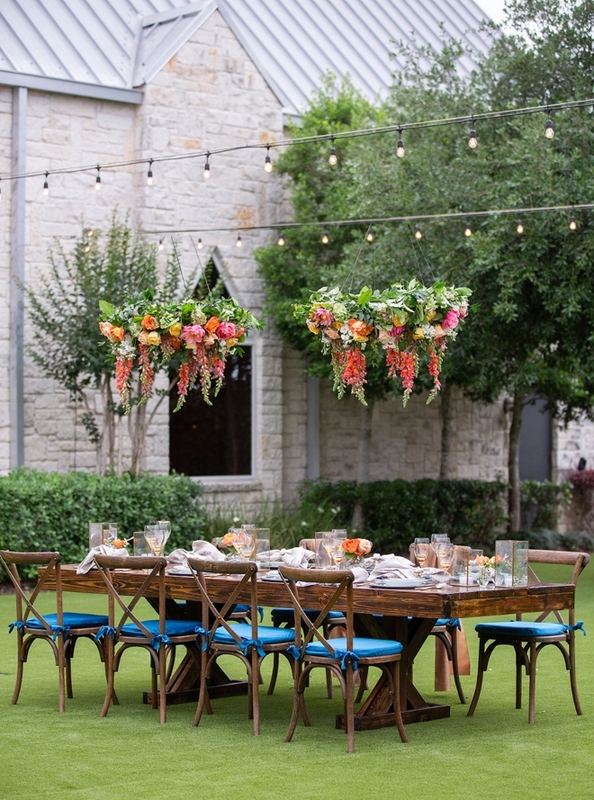 And speaking of making your guests comfy, there are so many sweet ways to make outdoor Houston weddings more fun for gathered friends and family! Whatever the weather, get guests in a celebratory mood, and keep them hydrated, by serving lemonade, sparkling water, and low-alcohol drinks (spritzers, mimosas, bellinis) prior to your ceremony—in pretty vessels, with striped paper straws and fresh herb or fruit garnishes, if that’s how you roll. Warm day? Perhaps you want to set out baskets of colorful hand fans on those pre-ceremony bars, and invite guests to help themselves. Another special outdoor-wedding idea we adore: Set up a greenery wall as a backdrop for “step-and-repeat”-type photos and selfies. 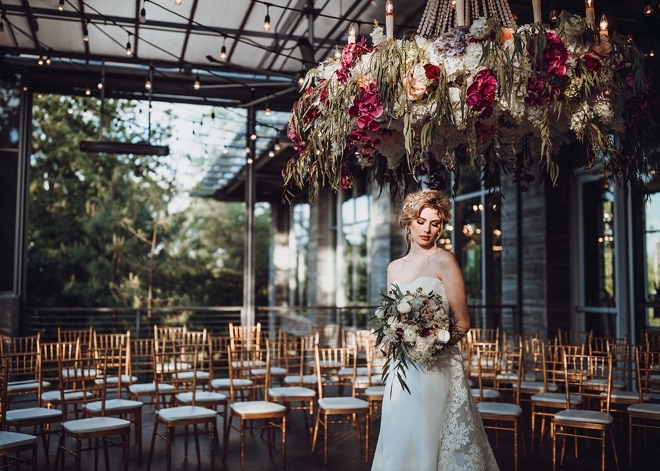 The backdrop of leaves will perfectly capture the outdoor feel of your event, and make the photo subjects’ hair, clothes and makeup totally pop in pics. 8. 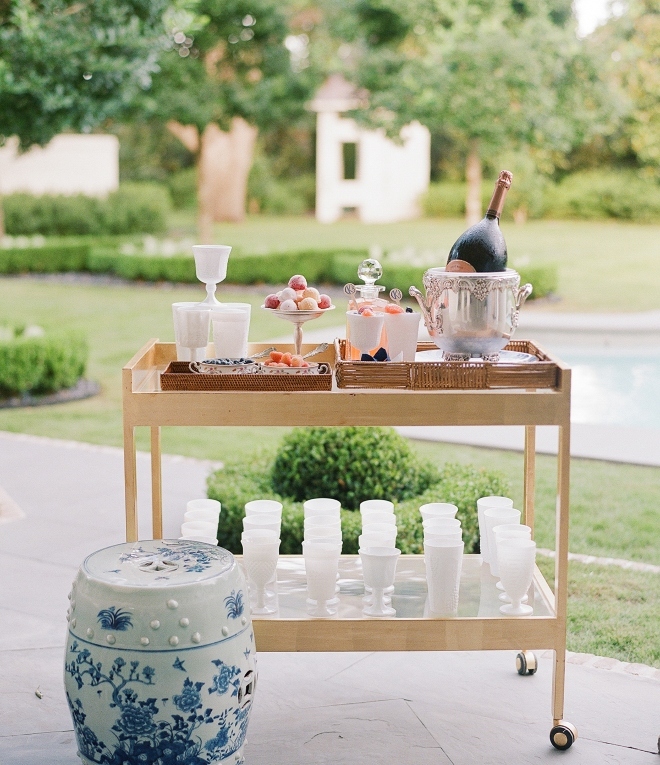 IS YOUR WEDDING DESSERT WEATHER-FRIENDLY? 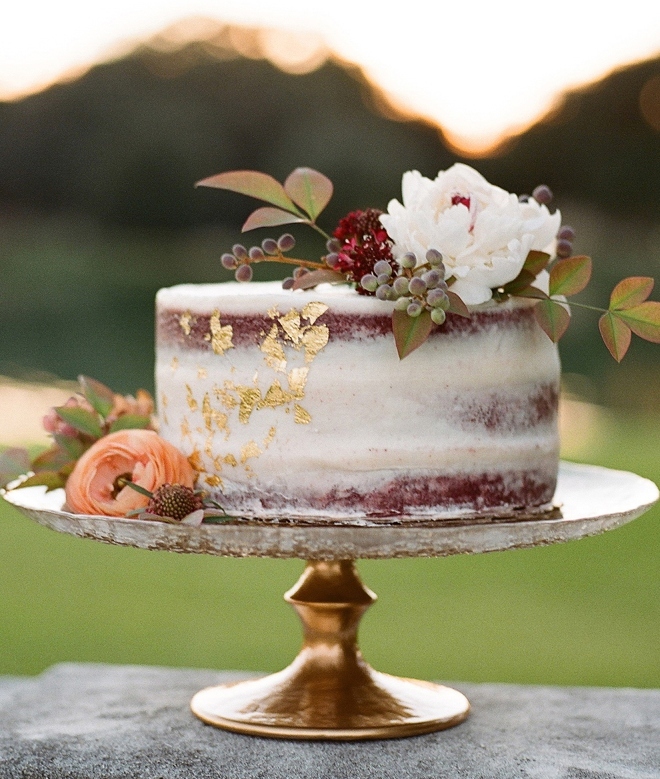 Dark icing colors, cream-cheese frosting and elaborate sugar flowers are no-no’s for warm-weather wedding cakes. Instead, choose heartier fondant, and flowers made with edible wafer paper. Or, better yet, go for an on-trend “naked cake,” and avoid stressing over melting icing altogether. Wind, even a soft gulf breeze, can have a big impact on guests’ ability to hear what’s going on at the altar. 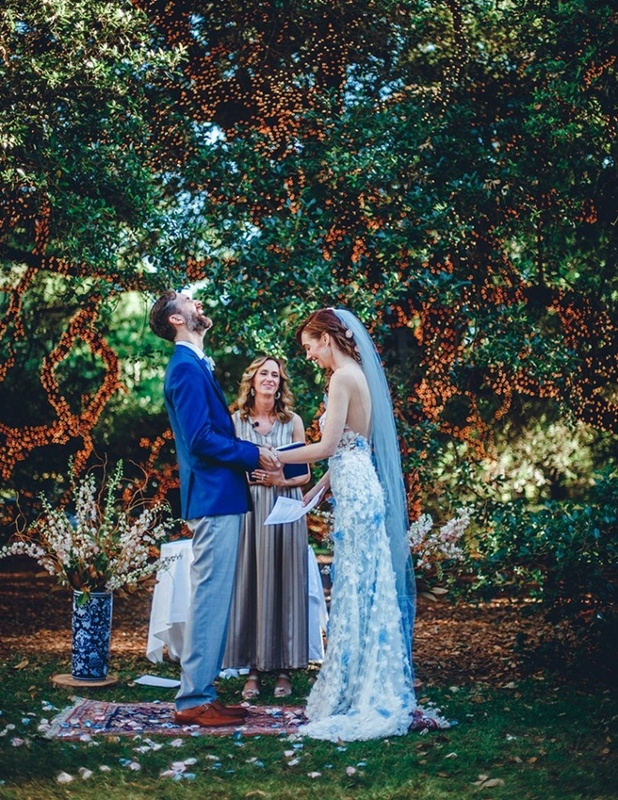 While you might not love the idea of wearing clip mikes as you say your vows, these little high-tech wonders can make all the difference for your guests, who have come from far and wide to see and hear the ritual of your blessed union. Ask your DJ or entertainment company to bring them; they’ll be happy to oblige. 10. CAN EVERYONE GET AROUND? Got grass, gravel or stones at your outdoor venue? Help your high-heel-wearing guests avoid sinking—or worse, stumbling—on these tricky surfaces by providing them with heel protectors. These discreet pop-on guards are almost invisible, and feature tiny treads that grip the ground, no matter what kind of surface. Plus, they’re reusable, so…gifts, y’all! 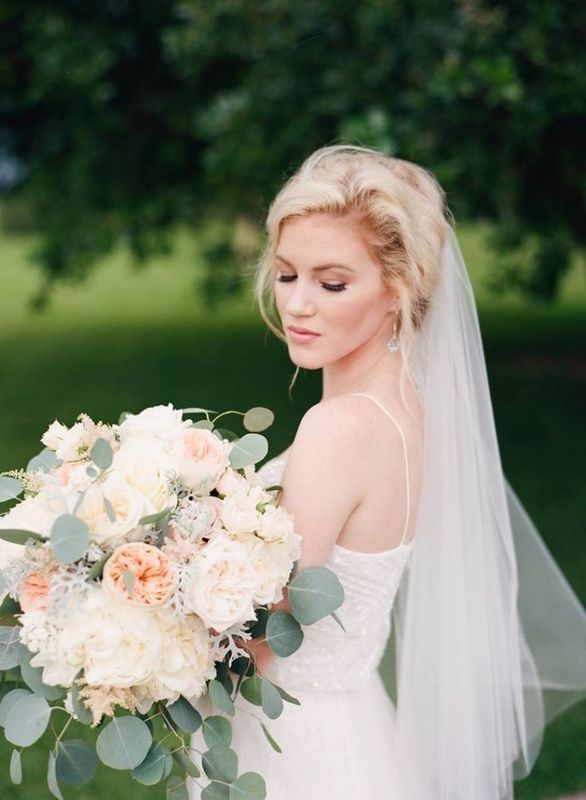 Sweet DIY Wedding At The Gardens At Madeley ManorInstagram Giveaway: Win I Do! Soiree Tickets! !